QUESTION: Mr. Armstrong, Thanks for your active blog…I feel that l am learning a lot but questions appear to be arriving as quick as answers! It seems to me that in order for gold to shine, capital must concentrate on the commodity. This, you have stated, will likely come after the Dow sees a phase transition – the flight to quality following the Dow phase transition will be into private assets (including gold) rather than into traditionally-safe treasuries. My question for you – given that 2014 is the start of a war cycle, couldn’t war (eg, in Syria) cause gold to move into the next phase without the Dow entering a phase transition? Thank you Sir. Please come back to Asia for more conferences (Seoul is a great city to visit). ANSWER: It has always been a popular notion that war is bullish for gold. That is not actually 100% correct. We studied this aspect using centuries of data. The more accurate statement is that capital fees from wherever the conflict takes place. Simply buying gold is of no use if there is no place to store it. Looking at World War I and II, capital fled Europe and moved into the dollar. This drove the dollar up and from 1896 when J.P. Morgan had to lend the US Treasury gold because it was broke, by 1950 the US held 76% of the entire world gold reserves. Everything fled here away from the conflict since you could not store the gold in a bank and probably the only other alternative was to bury your cash as had been the case since ancient times as illustrated above. 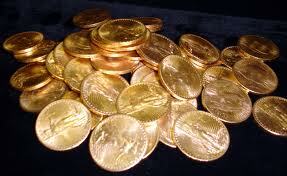 As shown here, it was money in general, not merely gold. You find that after World War II, even the rarities in stamps and coins of Europe were in the USA. 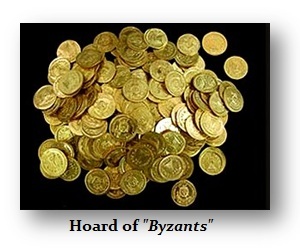 Here is a hoard of Byzantine gold coins discovered in Jerusalem. Hiding money during times of war has been a long-standing tradition. 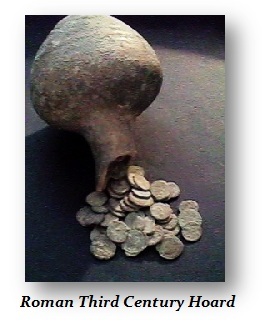 It did not matter if it was gold, silver, or bronze coins. People have buried their money whenever conflict erupts. 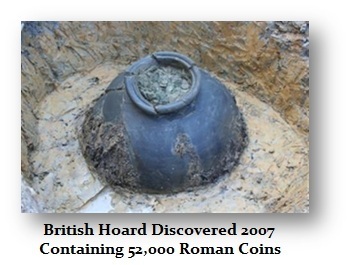 This is why so many ancient coins have survived. There have been hoards that cluster around geopolitical turmoil. Indeed, there was a book known as Historia Augusta (Historia Augustaconsists), which is a collection of biographies of Roman emperors from about 117-285AD. This work has been greatly criticized by academics who called it a fraud and fiction because it listed so many emperors during the 3rd century they had never heard of. One of those emperors was Saturninus (280AD). 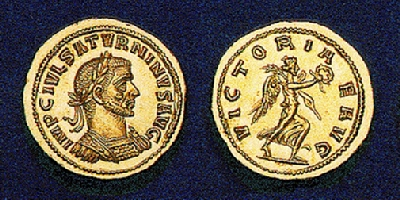 In Egypt, a hoard of gold coins was discovered from this chaotic period of civil war where few emperors lasted even 2 years and many just weeks. In that hoard, there were two Saturninus aurei found. This proved the academics were as wrong about Historia Augusta as they had been about Homer, which they had also declared to be just fiction until Heinrich Schliemann (1822-1890) discovered Troy, Mycenae, Thebes etc.. To this day, despite all the evidence that has surfaced, some academics largely still seek to tarnish Historia Augusta because like government, they just have a hard time admitting mistakes. They cannot prove their allegations – so they just make them up. All this research has been fascinating. 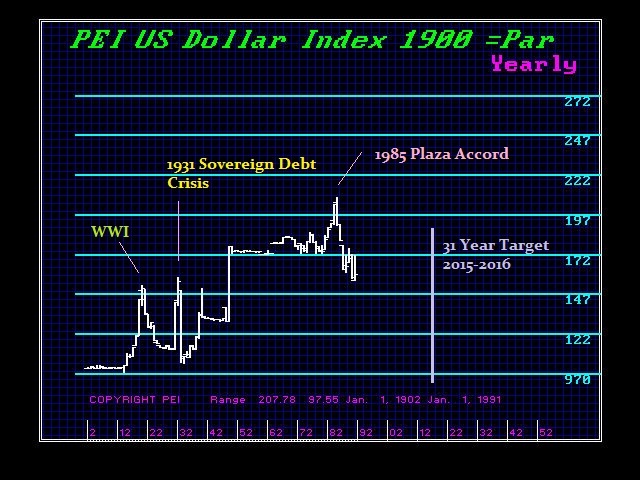 Both World War I and II as well as the Suez Canal Crisis all sent capital rushing into the dollar. However, when there was the Cuban Missile Crisis, capital fled the USA and went to Europe. During the Korean War and Vietnam War, gold did not rise but the dollar declined largely due to inflation. The bottom line, war will not make gold rise on a SUSTAINABLE basis. It will make capital flows shift away from the area of conflict. If there is a crisis in the Middle East, we should expect oil to rise and gold will rise as well, but this will not be the reason for a sustainable breakout. For that we really need the MAJORITY to begin to see the Sovereign Debt Crisis and begin to question the sustainability of the world financial system. When we see the shift from PUBLIC to PRIVATE, then we will see gold start to breakout. Forget the inflation an war scenarios. Those are not sustainable and historically provide just brief spike rallies and the market collapses from where it came.